Soul de Cuba Café founder Jesus Puerto outside of the New Haven restaurant. American Airlines and Jet Blue have announced plans to offer scheduled flights to Cuba. This follows last week’s new agreement on commercial flights between the island nation and the United States. 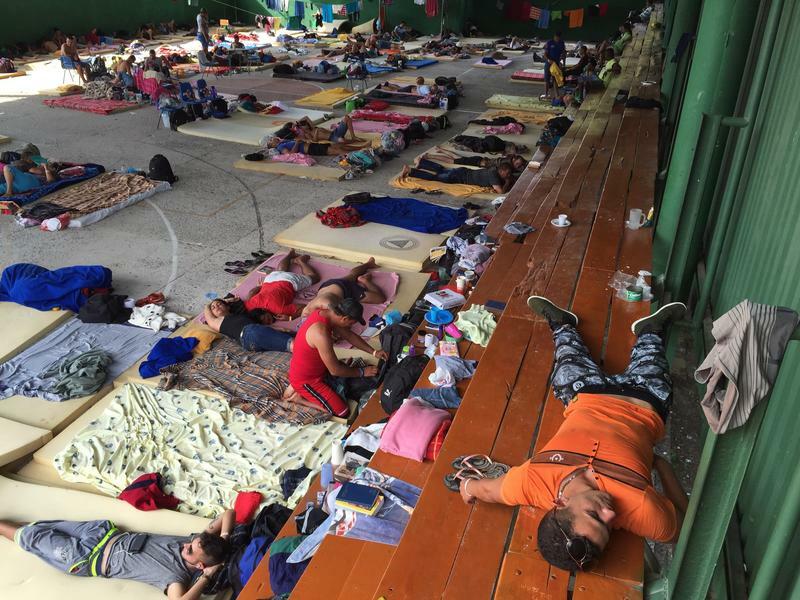 In one of the largest waves of Cuban migration in decades, more than 70,000 have fled the island this year, rushing to the U.S. out of fear that its preferential policy toward those escaping the Castro regime might change. The only American military installation abroad that's unwelcome to its host government is the U.S. Naval Base at Guantanamo Bay, Cuba. A treaty signed in 1934 leases Guantanamo to the United States in perpetuity, for about $4,000 a year. 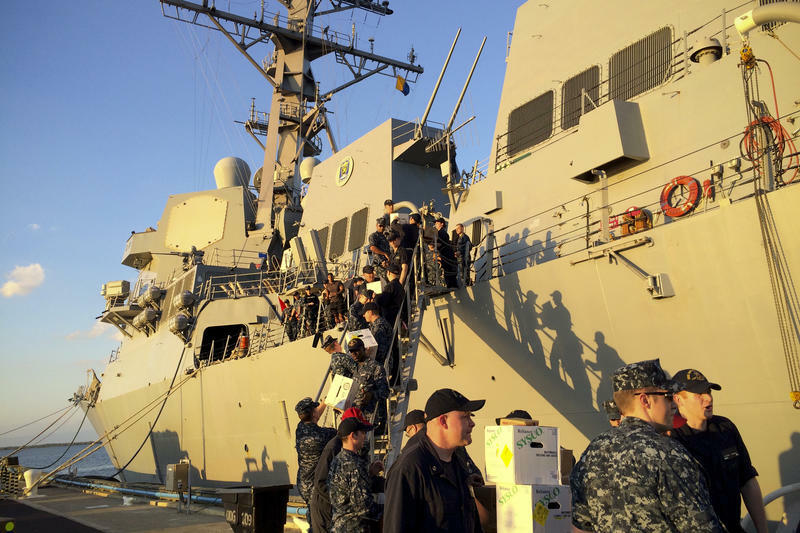 And the U.S. has no plans to leave, despite the two countries having just restored diplomatic ties. As politicians continue to navigate the historic diplomatic thaw in relations between the U.S. and Cuba, musicians from both countries say they’re looking forward to more artistic exchange. 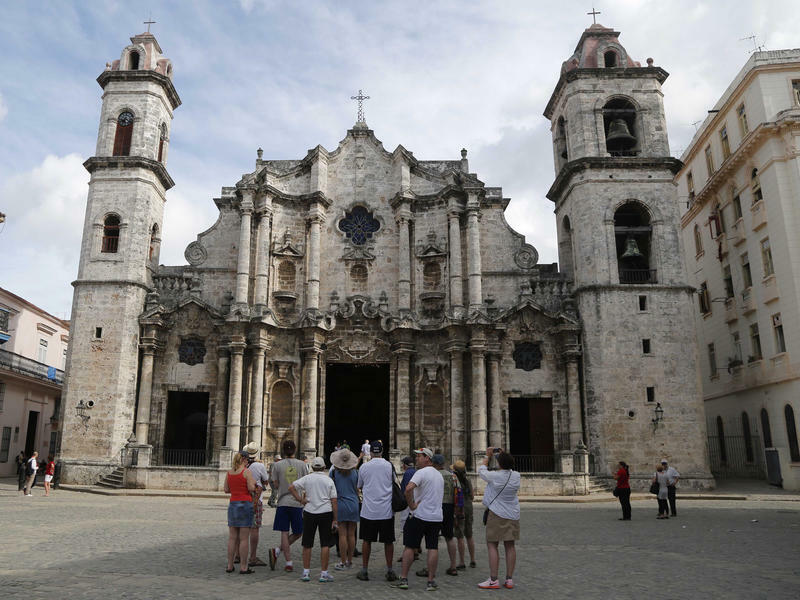 The U.S. and Cuba have restored diplomatic relations and reopened their embassies — but it's not yet open season for American tourists hoping to visit the island. The U.S. embargo on travel and business means you still have to have a valid reason to go — and that doesn't include sitting on the beach and drinking mojitos. 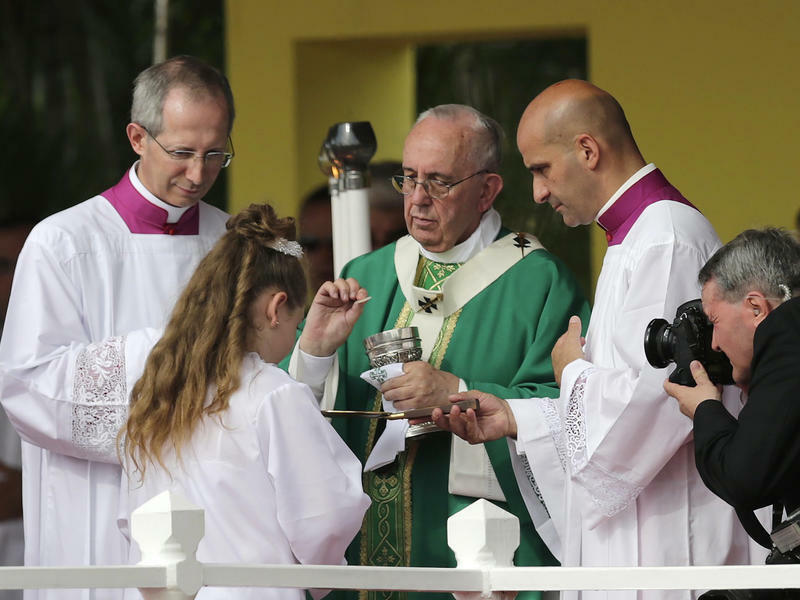 Thousands of Cubans packed Havana's Revolution Square to celebrate Mass with Pope Francis, history's first Latin American pope, erupting in cheers as the pontiff approached in his open-sided popemobile. Believers and non-believers waved Cuban and Vatican flags as they thronged the square, overlooked by a huge portrait of Argentine Marxist revolutionary Che Guevara. The pope in his homily steered clear of politics, but focused on the need for Christians and others to help their fellow man.